IN PIKOLIN, QUALITY COMES FIRST. From the start, Pikolin has used the most advanced technology in its quality control systems, with the aim of producing the very best products. In 1992, Pikolin went further, and established global Quality Systems for the whole company, since it believes that Quality Control is a dynamic and integrated process for monitoring the company at all levels. On the 26th of January 1996 Pikolin became the first company in the sleep products sector to be awarded the ISO 9002 Quality System certificate by AENOR. 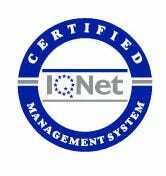 In June 2003, after the standard was updated to ISO 9001:2008, Pikolin updated and improved its whole Quality System. In its laboratories, its qualified technical personnel, who are experts in sleep products, have the most advanced technical resources for carrying out their work. Additionally, Pikolin S.A. recently implemented an ISO 14001 compliant environmental management system, which has been certified by AENOR. This indicates the company's commitment to the environment, since the implementation of an EMS and its certification by a third party guarantees that the company behaves in an environmentally friendly way. This extends to all those activities which may interact with the environment: consumption of natural resources; generation of waste; waste water disposal; atmospheric pollution (smoke and gases); outside noise; light pollution; action plans in case of environmental emergencies; appropriate training for the organisation's personnel, etc. 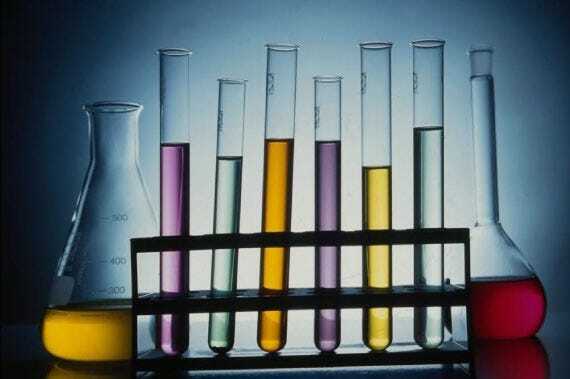 DO YOU KNOW WHAT TESTS A PRODUCT MUST UNDERGO BEFORE IT'S RELEASED ONTO THE MARKET? The technical staff includes specialists in both Sleep and Ergonomics. However, we do not have a person who tests the mattresses by sleeping on them. This work is done by this machine, which has a 140 kg. roller, and moves from one side of the mattress to the other 30,000 times, simulating the usage a mattress would have over a 10 year period. 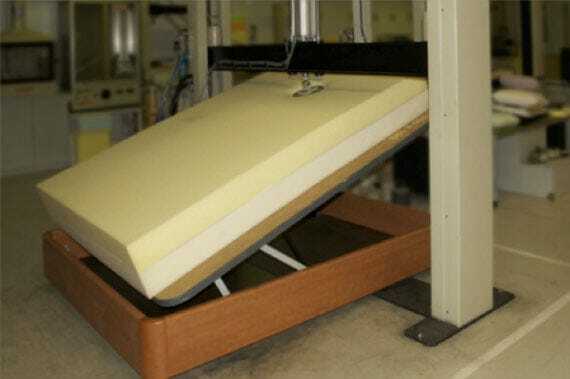 This test aims to evaluate the wear, loss of thickness of the mattress, any changes in its firmness, and any breakages. We at Pikolin take great pride in the fact that 99% of the mattresses tested keep their characteristics even after this rigorous test. As homes become smaller, lift up divans are becoming more widely used. In Pikolin, part of testing a lift up base involves using a machine which opens and closes the lid 30,000 times. Since most people will open the bed once a day, this is equivalent to 82 years of usage. This test is not specified in the UNE-ISO standards, and by developing this machinery, Pikolin has, in effect, set its own higher standard. It is by demanding the highest standards of its products that Pikolin can guarantee their quality. Sometimes, consumers don't pay much attention to pillows, since they think of them as the "junior partners" in sleeping arrangements. In fact, pillows are a key part of the equation, since they are responsible for keeping your neck and spinal column in the right position. The UNE-ISO standards for sleep products clearly reflect this lack of attention, since there is no standardised test for pillows. Once again, it has been left to Pikolin's product development and engineering department to design a testing technology, this time to test the durability of pillows, which are a key component of a restful night's sleep. To simulate the use of the product during its useful life, a 30 kg. weight is placed on the centre of the pillow 10,000 times. 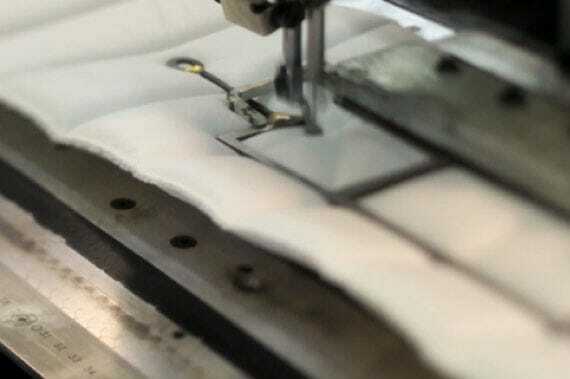 After the test has been completed, the pillow is checked for any possible loss in thickness or support, and to see whether the material - latex, fibre or visco-elastic foam - has been deformed. This is something people do regularly, and we at Pikolin must analyse the possible consequences of this. As a result, all the mattress designs we launch must first pass a test, which consists of dropping a metal block 50 cm. in diameter, and weighing 120 kg, onto the edge of the mattress 10,000 times. In this case, the UNE-ISO standard lays down that the test must be done with a 100 kg. weight and only 5,000 times. Pikolin goes the extra mile by establishing minimum standards which are far higher than the general standards of the market. 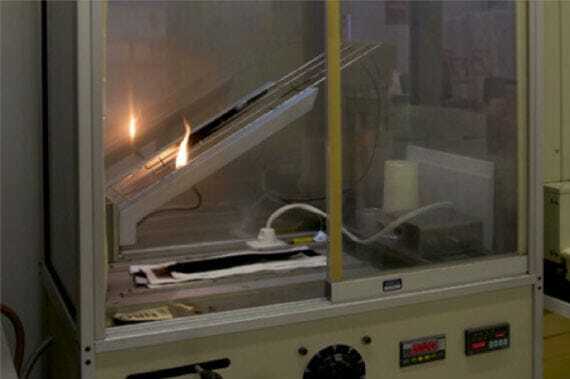 Pikolin is also the only manufacturer which has, in its own laboratory, the fire resistance test facilities necessary for running all types of tests, including those required by the UNE, BSI and UNI standards. In 1975, the first quality controls for polyurethane foam were established. In 1969, Pikolin created a Quality Department to guarantee that all its products reached the required standard of effectiveness. The first steps were taken with the aim of reaching the following objectives: To develop the technical specification which the raw materials used in manufacturing processes must comply with. To ensure that the conditions under which the raw materials have been manufactured in our suppliers' facilities comply with appropriate specifications. 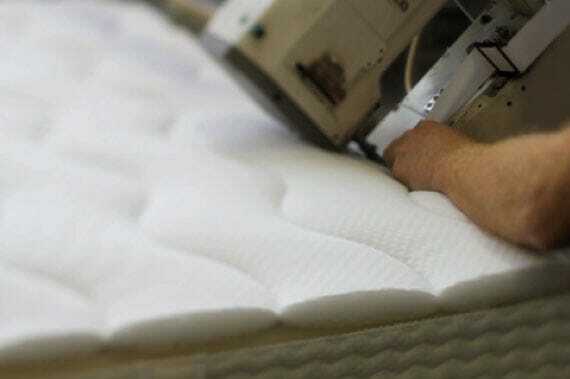 To implement finished product quality control for mattresses. At a later stage, new specifications were defined for the other raw materials and a description of the process control system was drafted. Until 1990, Quality Controls were only run on manufacturing processes. This was with the aim of controlling the production department and preventing problems. Starting in 1992, Pikolin went further, and established global Quality Systems for the whole company, since it believes that Quality Control is a dynamic and integrated process for monitoring the company at all levels. In this new enterprise culture, workforce training is at the core of our Quality Proposition, since it is a strategic and competitive factor. On the 26th of January 1996 Pikolin became the first company in the sleep products sector to be awarded the ISO 9002 Quality System certificate by AENOR. 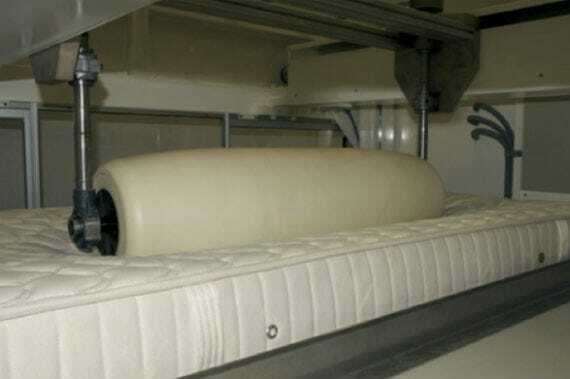 In June 2003, after the standard was updated to ISO 9001:2000, Pikolin updated and improved its whole Quality System, which currently extends to the design, development and production of its spring mattresses, flexible polyurethane foam mattresses, latex mattresses, upholstered bases, fixed bed frames, adjustable bed frames, bed base/frame lifts, bunk beds and pillows. The Quality System now covers all the Group's activities, from the reception of raw materials (for which we have our own laboratory specifically for the control and analysis of materials received which has a highly qualified technical team), to the control of the logistics system for distribution and deliveries, and all the administrative tasks involved in order management and Customer Care. The ISO 9002 standard has many positive aspects, and these are not only good for companies, but good for the country in general. It ensures an optimum price to quality ratio, guarantees good customer care and prevents unfair competition. It also helps to raise the Quality of products and the competitiveness of companies. Pikolin has worked actively to create a body that will defend the interests of the mattress, divan and bed frame and base sector. AENOR and Asocama have created a technical committee to establish the standards for mattresses, bases and accessories. Its objectives are: to draft standards defining the products, their characteristics, their safety and their suitability for the purpose for which they were manufactured. Pikolin also participates actively in the European Committee for Standardisation (CEN), which aims to harmonise the different existing European standards, and to create new standards for mattresses and bases. 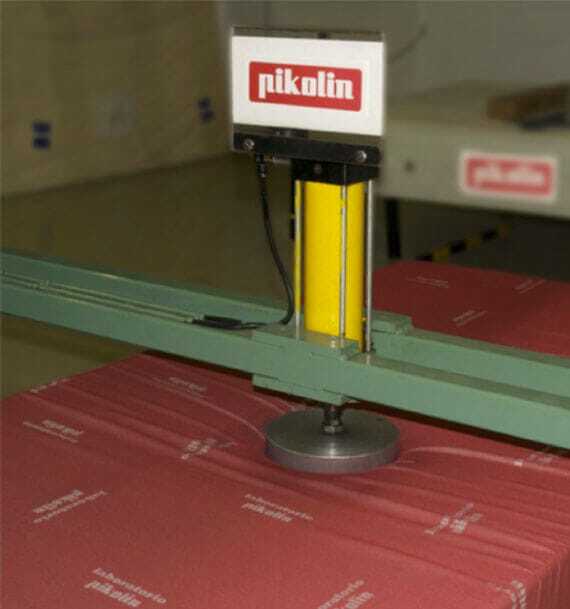 In 1992, Pikolin opened modern new facilities for sleep product research and quality control. In this new centre, its qualified technical personnel, who are experts in sleep products, have the most advanced technical resources for carrying out their work. The Zaragoza University Business Foundation (FEUZ) is a body which cooperates with companies in order to finance research and studies which are of use to both. Since 1983, Pikolin and the FEUZ have collaborated on numerous projects related to firmness, and also on the first study of sleep and muscle tone, as well as diverse studies researching into new technologies. Pikolin also collaborates closely with the Aragon Technological Institute (ITA) - which is part of the Aragonese Government's Department of Science, Technology and University - with the aim of promoting the development of new technologies and their application to the world of sleep products.